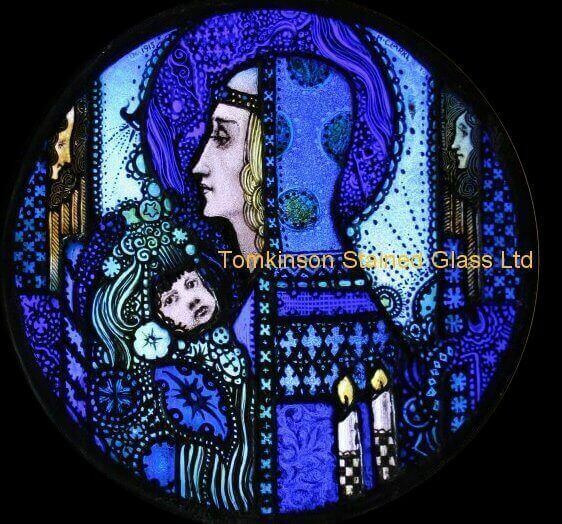 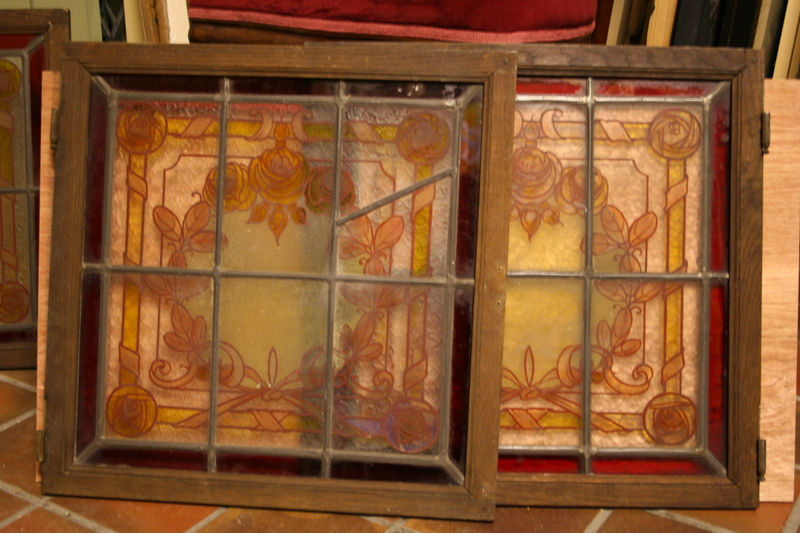 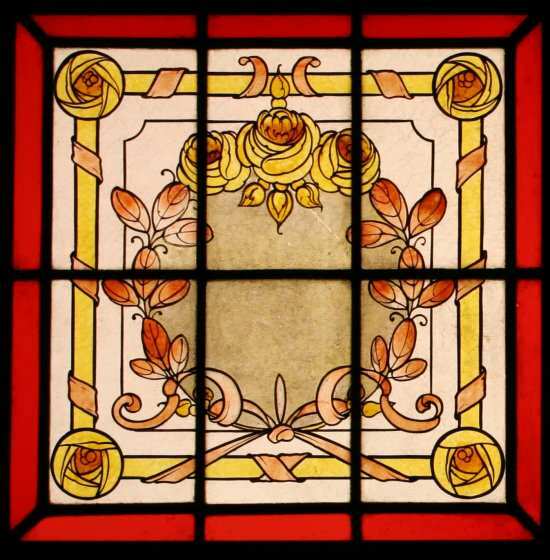 Set of 4 French antique stained glass window panels, 1914. 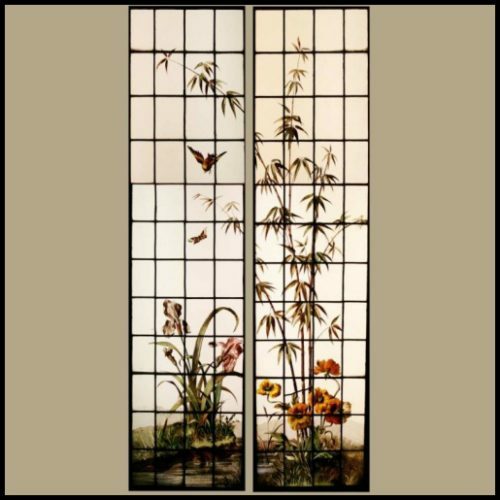 Comprising of two transom tops and two lower panels, each leaded and hand painted on obscure glass depicting flowering wreaths and sprays of various leaves and flowers. 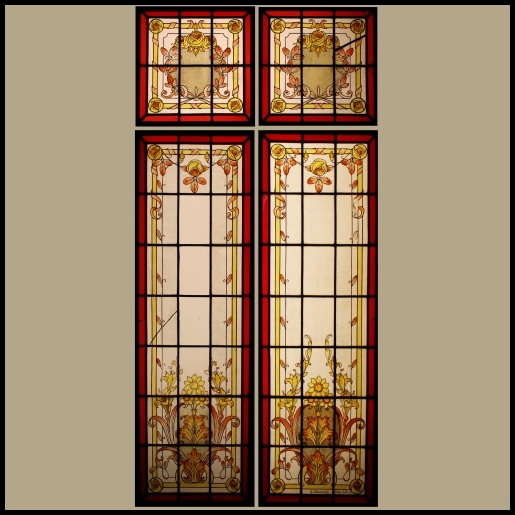 Slight restoration and with all 4 pieces in their original wooden frames.